A new version of our timed solitaire game Action Solitaire is now available! Version 1.6 can be downloaded from http://www.goodsol.com/action/download.html . Action Solitaire is a collection of 75 solitaire games played in timed rounds for points - it's different from regular solitaire as the faster and better you play, the more points you score. This is a free update for registered users of all previous versions of Action Solitaire. Just download and install and if a registered previous version was installed it will find the registration code automatically. This version contains bug fixes and improvements for Windows 10. Action Solitaire is currently available for Windows only. The latest version of Pretty Good Solitaire is version 17.1 with 950 games. 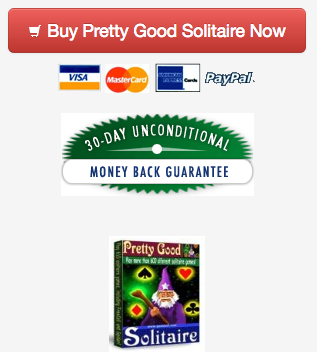 If you have any trouble downloading or installing, see our new video How to Download and Install Pretty Good Solitaire on the download page at http://www.goodsol.com/download.html . 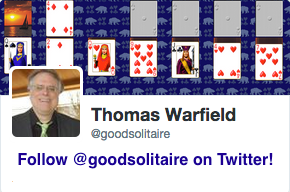 Tell your friends about Pretty Good Solitaire, we need all the help we can get! This game is at Triple Peaks.